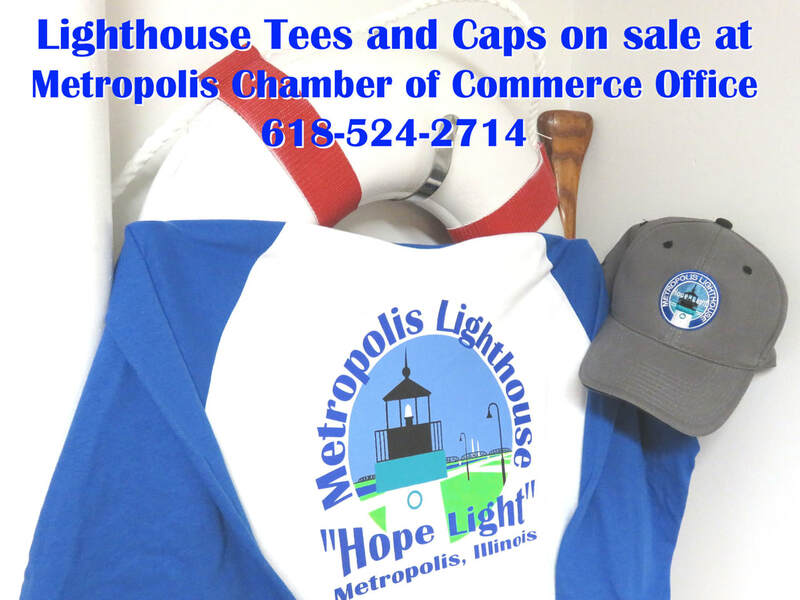 The Hope Light Project has worked with public libraries/library systems, health departments and hospitals in rural communities and universities and corporations to establish fourteen Cancer Corners in four states, i.e., Illinois, Indiana, Kentucky and Missouri. 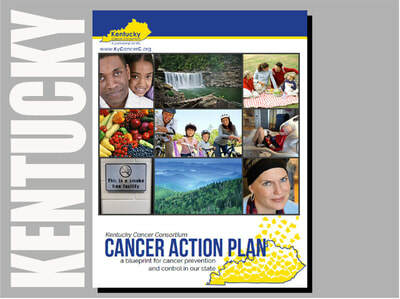 This strategy brings cancer information closer to people in rural communities where they live, work and learn. Most of the rural communities are typified by having high and rising cancer death rates, high poverty rates, high uninsured rates, high unemployment rates, and being medically underserved with health professional shortage areas. The purpose of the Cancer Corner is to provide resources to help people learn about cancer prevention, cancer signs and symptoms, financial assistance and if detected and/or diagnosed to provide information on cancer treatment options and clinical trials. With this knowledge, individuals will be empowered to make informed decisions in consideration of benefits, risks, limitations and alternatives in partnership with their medical team. Being empowered with knowledge builds inner strength and Hope for cancer survivorship and a cure. Bring a Friend - Help Save Lives! Congratulations to Kathy Weisenstein and Jakala Garba of the St. Clair County Health Department on being the first recipients of the "Hope Light Award for Excellence" that recognizes your dedication to fighting colorectal cancer in St. Clair County, IL. Pictured above are Rudy Bess (L), Founding Director-The Hope Light Foundation and Amanda Hamker (R), Health Systems Manager-American Cancer Society, High Plains Division. 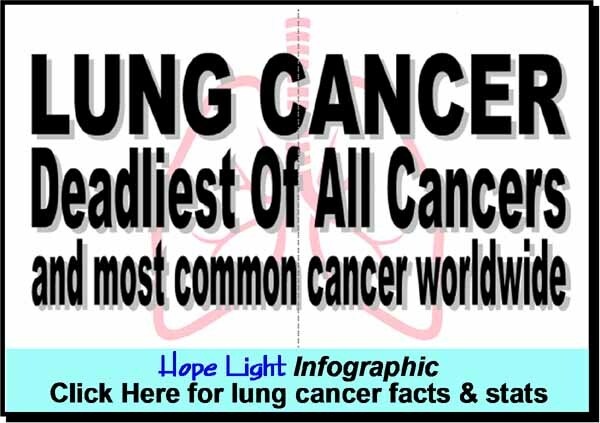 "The Hope Light Project is dedicated to 1) communicating cancer awareness information to impact cancer prevention, cancer victim survivorship and saving lives and 2) to promote cancer education and research." 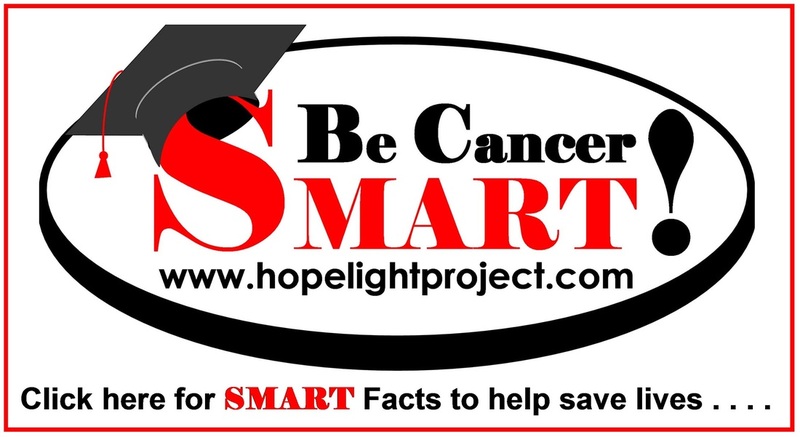 The Hope Light Project Mission supports The Hope Light Foundation by employing innovative strategies to impact survivorship and save lives by communicating all-cancers awareness information through a 24/7/365, multi-venue, multi-media, high visibility, integrated, collaborative, state-of-the-art technology campaign. The major focus of the Foundation is promoting early cancer detection that along with early diagnosis and treatment can result in cancer survivorship. Our hope is that all cancer patients will become cancer survivors. The Hope Light Foundation is a 501(c)(3) public charity with all donations being tax deductible. The Project employs the basic principles of evidence-based public health to develop strategies, goals, objectives, plans and programs used in the fight against cancer. 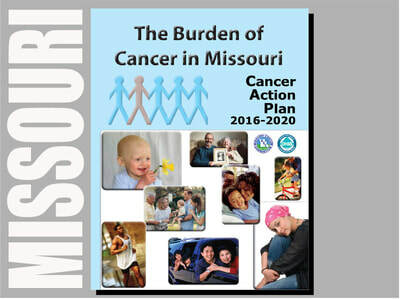 The Project begins by researching current cancer incidence and death rate trend data in state cancer registry's and major cancer organization information systems to determine the problem and identify at-risk for cancer communities and populations. This data is then compared with community related behavioral risk factors, scientific studies, socioeconomic data, environmental data, etc. 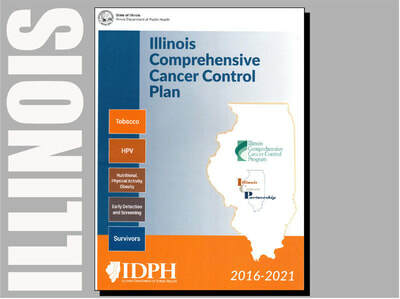 to determine strategies, goals and objectives and to develop cancer awareness communications, evidence-based intervention programs and outcomes measures. The Hope Light Foundation is active in developing working-together relationships with state agencies, universities and stakeholders to help in evaluating cancer data, performing community needs analysis and developing cancer related intervention programs. Thanks to an annual donation from the George A. Bates Memorial Foundation, as pictured in the above check presentation at Southern Illinois University Carbondale, The Hope Light Foundation is able to fund our Hope Light Projects, such as this website and Cancer Corners, to communicate cancer awareness information and help people fight cancer.